The rumors spread like lighter fluid on a barbecue from the moment it was announced, just before 4 p.m. local time: FIFA news conference at 6 at the self-described "home of football." Such hastily called news conferences usually mean only one thing: Something big is going down. And common sense pointed to the fact that whatever was happening would involve Jerome Valcke, FIFA's general secretary. Earlier in the day, documents emerged that he had authorized three bank transfers from FIFA accounts to CONCACAF boss Jack Warner on behalf of the South African Football Association back in 2008. FIFA initially maintained that Valcke was not involved in the payments and insisted it was for something called the Diaspora Legacy Programme, a previously unknown development scheme. The U.S. Department of Justice's indictment of Valcke last week alleged it was nothing less than a bribe, paid to ensure the 2010 World Cup would go to South Africa, rather than Morocco. And so the media assembled in the hall as FIFA press officers placed three name tags on the desk: one for head of communications Walter De Gregorio, one for audit and compliance committee chairman Domenico Scala and one for FIFA president Sepp Blatter. There wasn't one for Valcke. If the secretary general wasn't there to defend himself, did it mean he was getting the axe? Why else would they be holding an emergency news conference and convening to talk about him? Six o'clock came and went, then 6:30. Media officers removed the name plaques for Blatter and Scala, a sign that they wouldn't be sitting behind the long table and thus would likely not be taking questions. At 6:44 p.m. local time, De Gregorio took his seat and announced that Blatter and Scala would each make a statement. Was Blatter going to announce that Valcke, his right-hand man since 2007, was gone? Instead, we got the bombshell: Blatter announced that he was done. Gone. Finished after 40 years, 17 of them as president. Soon, he would be no more. Not at FIFA, anyway. 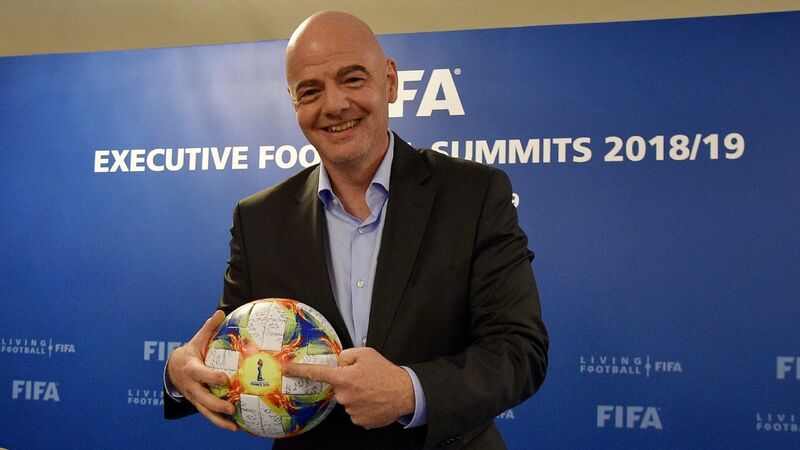 Four days after being re-elected and ending his speech with a fist-waving "Let's go, FIFA! Let's go, FIFA!" chant which roused his supporters to a standing ovation, he announced that he was tendering his resignation. Blatter said he felt he did not "have a mandate from the entire world of football." That's undeniably true, but then most elected officials don't have a mandate from the entire electorate. If you were a cynic (or simply not completely unaware) you would know that despite his uncontested election wins, he always had his opponents and enemies in the game. So was that the real reason he was stepping aside? Probably not. Was it the twin investigations out of New York and Switzerland? That is probably part of it. And more than the investigations themselves, the concern over what might be revealed, especially if several long-time FIFA figures decide to spill the beans. What Blatter said next was telling. He talked about FIFA needing a "profound overhaul." On its own, it's not a big deal; we've heard him say this before, though not in such terms. But when Blatter made way for Scala and we heard the head of the compliance committee illustrate how FIFA would be looking at immediate, deep reform, pushing to implement the recommendations of the "good governance" report issued by Mark Pieth, it became clear that this time it might not be business as usual. Pieth's recommendations -- including term limits for executive committee members and the president, having FIFA vet candidates to the executive committee instead of the confederations, financial controls and greater transparency in the disbursement of funds -- were ignored in 2012 in what looked like a classic case of lip service. Now, it looks as if they are back on the table. That can only be good for FIFA and, more importantly, for the game. Even better is the fact that we'll finally see change at the top. In accordance with FIFA statutes, elections won't be at least for another four to six months, but the jockeying has already begun. Prince Ali Bin Al Hussein, who gained 73 votes on Friday, said he'd be open to standing again, albeit without committing to it. UEFA and its president, Michel Platini, will play a major role here. Platini himself was ready to stand in 2011, but then backed out when Blatter opted to run again. Since then, it's been a war of attrition with the FIFA president. Platini backed three different candidates -- Ali, Luis Figo and Michael van Praag -- to stand against Blatter this time, with the latter two pulling out at the end to get behind Ali's bid. 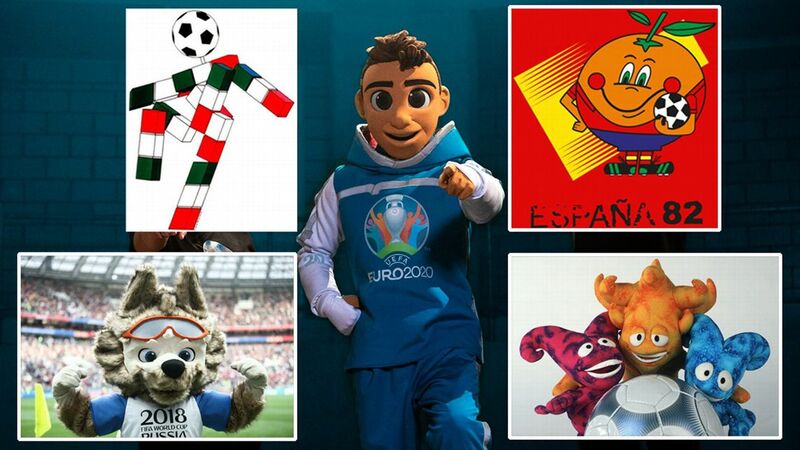 Platini may even want to run himself. He's never hidden his ambition; when he opted to sit out last August in Monte Carlo, he joked that "the people who loved me wanted me to stay at UEFA, the people who hated Blatter wanted me to go to FIFA." Now, the landscape has changed. He'll have to decide whether to back Ali, present another candidate or enter the fray himself. Issa Hayatou, president of the Confederation of African Football, is another key figure here. CAF is the largest confederation (56 members) and in a presidency spanning four decades, he has turned the body into a real power, mainly through bloc voting. Hayatou ran once before, in 2002, losing to Blatter in an acrimonious election only to then become one of his staunchest allies. Elsewhere, the situation is more fluid. Asia is split and the fault lines could only deepen now that Blatter is gone. CONCACAF president Jeffrey Webb was indicted and is facing extradition, leaving a power vacuum in North and Central America right now. Other than badly needed reform, the main question facing the next FIFA president and his executive committee will be Russia 2018 and Qatar 2022. In addition to the ongoing Swiss investigation, there's also the Garcia report, which, as of right now, less than a dozen FIFA officials have actually seen (counting the guys who wrote it). Whoever takes over will be under overwhelming pressure to make it public. And at that stage, all bets are off. All it takes, under FIFA regulations, for the executive committee to call a revote is an appetite to do so and evidence of political interference or corruption. The threshold of evidence is so low, we've been abundantly past it for some time. Indeed, right now, you'd expect frayed nerves in Doha and Moscow. Uncertainty is nobody's friend, and both nations are well aware that there are plenty who would like them stripped of the World Cup. Blatter, a man who loves his nautical metaphors, talked about how he steered the ship of FIFA out of the hurricane and back toward calmer waters. Well, they evidently weren't quite as tranquil as he thought. In fact, there are sea monsters lurking there and, possibly, a tsunami on the horizon. And that's why he resigned his captaincy, meaning that someone else will steer the FIFA ship. Whoever it is will be in uncharted waters, with all the risks and perils that entails. But at least it's something different. For years many had talked about the need for change. Well, it happened, at least as far as the presidency is concerned. And there is much more to come.